The 2019 INFINITI QX60 trim levels offer incredible engineering, smart design, and unparalleled luxury in a sleek SUV package. This three-row SUV has plenty of space for cargo and passengers, along with state-of-the-art safety options and cutting-edge connectivity. From the QX60 Pure to the QX60 Luxe AWD, any driver can find their dream SUV within the lineup. Let’s take a look at the INFINITI QX60 specs up close! While the INFINITI QX60 specs are impressive across the board, you have four different ways to experience this new INFINITI at our dealership. Which model will you choose? The 2019 INFINITI QX60 trim levels start with the QX60 Pure, a robust model that’s packed with technology. This SUV runs on a 3.5L V6 engine paired to a continuously variable transmission with manual shift mode for greater control. While you’ll love navigating the roads with 295 hp under the hood, the QX60 Pure is also equipped with plenty of high-tech features inside the cabin. Bluetooth technology allows you to make phone calls and stream music, hands-free, and the INFINITI InTouch™ System provides access to HD Radio for hours of entertainment. While front-wheel drive is standard, upgrade to the QX60 Pure AWD for extra traction. The QX60 Luxe takes the powerhouse performance and smooth handling of the QX60 Pure and adds some of the most impressive technology on the market today. The new INFINITI includes conveniences like remote engine start and dual occupant memory seating, so every driver in your household can enjoy custom settings with just the touch of a button. Adventurers will love the addition of roof rails for securing cargo, and music aficionados can create their own soundtrack with the incredible Bose 13-speaker audio system with speed-sensitive volume control. Like the QX60 Pure, the QX60 Luxe is equipped with front-wheel drive. However, the QX60 Luxe AWD specs include INFINITI’s Intelligent All-Wheel Drive. The new INFINITI models have been dazzling customers from Lisle to Chicago, and the critics are impressed as well! 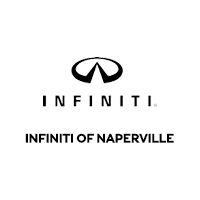 Find out all about the award-winning INFINITI QX60 specs with a test drive at INFINITI of Naperville, or learn about its latest inclusion in the CarGuru’s “Best Used Cars List”.